Lord Ganesha is the symbol of immense Wisdom, Perfection and Prosperity. 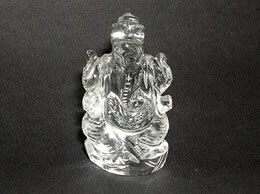 These Lord Ganesha Statue are made from very high quality Natural Crystal. Lord Ganesha is also considered as a symbol of immense knowledge therefore placing Lord Ganesha statue in your child's study room will help him develop better concentration while studying. Lord Ganesha's large ears emphasizes on him being a good listener. 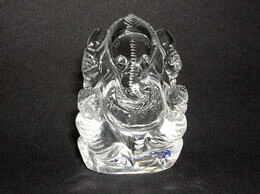 Lord Ganesha has the ability to remove obstacles . Lord Ganesha never, ever fails so it is considered auspicious to place lord Ganesha when starting a business. 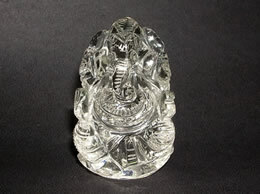 Lord Ganesha strengthens memory, stimulates intelligence, solves problems with ease. Placing Lord Ganesha statue at home helps to stabilize emotions and it also helps in improve your character. Lord Ganesha marks the beginning of good timing.